The health and wellbeing of employees is SO important to the success of business. Healthy people are productive people. Healthy people are energetic people. So why would you not want healthy people working for you? If we looked at the current health of the average workers, we come across some VERY interesting and rather SCARY statistics. 70% of workers do not do enough exercise. 92.9% eat less than the recommended amounts of fruit and vegetables. 32.9% drink alcohol at risky levels. Worldwide, employers are becoming more and more aware of how chronic health issues can impact negatively in the workplace, such as sick leave and reduced productivity. So why not help your employees make healthier choices? Not only will it improve the health of an individual, but it will improve the health of your business overall! By educating and supporting your employees on making healthier life choices, they will be happier, more productive and more engaged – giving you and your business better results and a fantastic company culture! At Bonfire, our Wellness Experts are always happy to help local businesses in supporting the health of their staff. We love educating as many people as we can on the effects of diet and exercise, posture and health in the workplace. 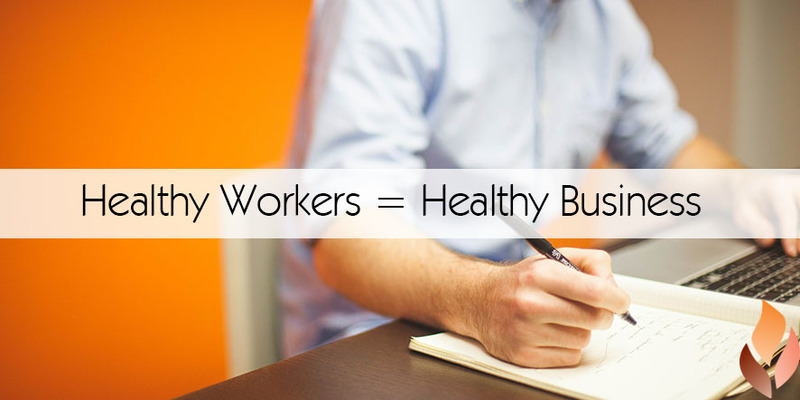 So, are you ready to help the health of your employees? We have comprehensive corporate talks, workshops and group talks available, no matter what industry you’re in, to help you and your staff on their journey towards optimal health! Email marketing@bonfireyoga.com.au to see how Bonfire can help.